Grotech Ventures has built a reputation for being a collaborative, long-term partner for entrepreneurs. Headquartered near Washington, DC, Grotech initially invests between $500,000 and $5 million in early stage, high growth technology companies, reserving significant capital for subsequent investments to support companies through early and growth stages. River Cities is a growth equity firm investing in high-potential healthcare and information technology companies. A consistent, cohesive team has honed its strategy over five funds with compelling performance. River Cities seeks to be a business partner first and a capital provider second, investing significant human capital to leverage its domain expertise and a network of thought leaders assembled over the last 20 years. With nearly $600 million of capital raised and a consistent track record of success, River Cities has established itself as a preferred source of growth capital. The firm, located in Cincinnati, OH and Raleigh, NC, is actively seeking new investments for its $200 million Fund V.
Height Ventures is a human first venture fund that works with new companies and teams who are agile, teachable, transparent, innovative, fun, and inclusive. Delta Electronics Capital is the corporate investment arm of Delta Group, the world's leading provider of power management and thermal management solutions, and a major source for components, visual displays, industrial automation, networking products, and renewable energy solutions. Delta Group has sales offices worldwide and manufacturing plants in Taiwan, China, Thailand, Japan, Mexico, India, Brazil and Europe. 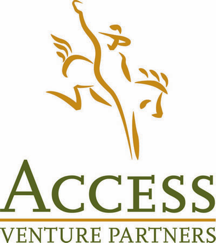 From their Boulder, Colorado offices, Access Venture Partners invests nationally in early stage technology companies with a passion for helping entrepreneurs build phenomenal fast growing businesses. Access has invested in over 65 companies that have collectively raised over $1 billion in equity capital and employ nearly 4,000 people and growing. Based in Chicago, IL, Moderne Ventures is an early stage venture fund investing in technology companies that are innovating within real estate, mortgage, finance, insurance, and home services. Moderne leverages its Moderne Network™, a membership of more than 200 corporations and executives within Moderne's target industries who are investors, mentors and advisers to the fund and its portfolio companies. Camber Creek contributes in a direct and significant way to the success of its portfolio companies by leveraging the real estate expertise, operating experience and portfolio of assets of its partners, investors, and advisors. Their investment team has investing, operating, and technology experience and expertise across a range of real estate businesses, including construction, property management, development, and leasing. Their investors own, operate and manage over 150 million square feet of real estate in the U.S., giving us a unique competitive advantage as an investor and value-added partner in the real estate technology space. Based in the Salt Lake City metro, Kickstart Seed Fund supports the best entrepreneurs in Utah and the Mountain West with capital, connections and intelligence to launch hyper-growth companies into the world. Since 2008 they have backed over 60 of the best startups in the Mountain West in diverse sectors including SaaS, cloud, mobile, e-commerce, clean tech and health tech. Founded over 80 years ago near Cleveland, OH, MTD Products has grown to become a worldwide leading manufacturer of outdoor power equipment with facilities in Europe, North America, Asia and Australia producing equipment for both residential and commercial markets. MTD's premier brands include Cub Cadet Troy-Bilt, Remington, Yard-Man, and many more.